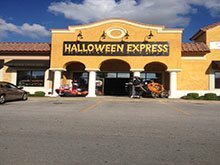 Welcome to Halloween Express E. Township Fayetteville, Arkansas just off College next to Township Plaza. Back for the 2016 Halloween Season to provide you with the largest selection of Halloween Costume and Halloween merchandise! Come see us for all your Halloween needs! 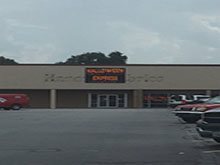 Welcome to the Halloween Express of Little Rock, AR! We will once again offer you the best selection in costumes, decorations, masks and accessories. You can find us off of Chenal Parkway where a friendly staff will greet you and be ready to help you with all your last minute Halloween needs! We are currently closed, but are preparing for our 13th year in Little Rock and will be opening soon! 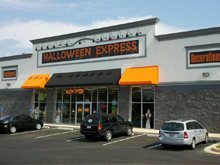 Welcome Northwest Arkansas to your locally owned and operated Halloween Express store in Rogers. Here, Halloween is not just a holiday, but a lifestyle. Large selection of costumes, props, decorations, accessories and makeup for all your Halloween or everyday needs. Our friendly and knowledgeable staff look forward to assisting you. Come see us. We want to help make your 2016 Fall season Spooktacular. (Pokestop conveniently located at Frisco Station Mall entrance). 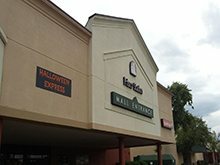 Halloween Express is excited to be returning to Conway for the 2016 Halloween season in our new location at 205 West Oak Street previously Hancock Fabrics. We will be back with the best selection of Halloween merchandise in Conway! Stop by and check out our costumes, decorations, props and accessories. You won't be disappointed! Watch for our opening in September next to Cleo's Furniture!